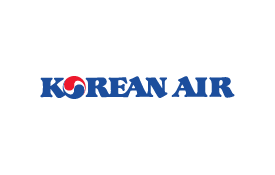 Korean Air is one of the world's top 20 airlines, carrying more than 26 million passengers in 2017. The airline operates more than 460 flights per day to 123 cities in 43 countries on six continents; it has a modern fleet of 169 aircraft. The airline's main hub is at the newly opened Incheon International Airport (ICN) Terminal 2. Earn and spend Skywards Miles on Korean Air flights across their network of more than 123 destinations. The number of Skywards Miles you will earn depends on whether you are traveling on a domestic or international flight, the class in which you travel, the fare type, and the distance flown. Book with Korean Air and give your Emirates Skywards membership number to earn Skywards Miles. Spend your Skywards Miles to book round-trip reward flights with Korean Air in Economy Class and Prestige Class. You can use your Skywards Miles for travel in either direction between the cities listed. The table below shows the numbers of Miles you need for a round-trip reward. The table below shows the zones applicable for redeeming Miles. The following fare types are not eligible to earn Skywards Miles. Skywards Miles cannot be earned on the following flight and ticket types: Group Inclusive Tour (GIT)/Inclusive Individual Fare (IIT) tickets, redemption awards, or free ticket promotions. You will not earn Tier Miles on flights with Copa. To claim missing Skywards Miles for flights completed within the last six months, please complete the Claim Miles form. Reward tickets can be issued on Korean Air flights (with the flight code KE) operated by Korean Air. Reward tickets are not valid on codeshare flights. Skywards Miles stated are for direct flights only. Where no direct service is operated, two or more rewards may be required. Fully unused reward tickets can be refunded for a fee of US$75. All fees and charges exclude any local taxes (if applicable).